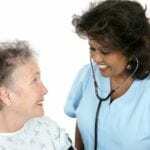 Licensed Practical Nurses deliver nursing care to patients and support Registered Nurses and Physicians in hospitals and skilled nursing facilities. They assist with the care of children, infants, new mothers, seniors, and disabled individuals. Although LPNs work under the supervision of a registered nurse, they may share many of the same responsibilities, including medication administration, direct patient care, and the planning, implementation and evaluation of patient care plans. If you’re thinking of a career as a practical nurse, you should have a sympathetic nature, flexibility, physical strength, emotional stability, and endurance in order to meet the challenges of delivering quality patient care. An LPN also needs problem-solving skills, keen observational skills to notice changes in the patients, and effective communication skills to communicate details to doctors and nurses. Empathy, good interpersonal skills, and patience are essential for dealing with patients and their families. Like Registered Nurses, LPNs must obtain a license to practice from the Maine Board of Nursing. Many LPNs opt to become registered nurses through bridge programs where they earn an associate’s or Bachelor of Science degree in nursing. Practical nursing education prepares students for employment in hospitals and skilled nursing facilities as entry-level Practical Nurses. It also prepares graduates for transfer into a program to become a Registered Nurse. Through a combination of lecture, hands-on practice in simulated labs, and clinical practice at local hospitals, rehabilitation centers, and long-term care facilities, students learn to function as members of the healthcare team in the prevention of illness, promotion of wellness, and the care and rehabilitation of the sick and injured. Instructors prepare students for the administration of nursing care to patients in a variety of healthcare settings, including extended care facilities, healthcare agencies, physicians’ offices and patients’ homes. Classroom and clinical instruction include family and community health concepts, legal aspects of practice, interpersonal relationship skills, body structure and function, nutrition, pharmacology, mental-health concepts, human growth and development, medical, surgical, and maternal-child nursing, and current issues and trends in nursing. During the supervised clinical, students provide for the physical and emotional needs of patients, assist with the provision of therapeutic treatments and rehabilitation. The clinical experience accounts for over 50% of total program hours. Eligibility requirements for the competitive program include attendance at the information session, a passing score on the pre-admissions exam, a high school diploma or GED equivalent, and a minimum grade “C” on prerequisite courses. Applicants must be 18 years or older. After reviewing the completed application, letters of recommendation, and results of the exam, the admissions department may grant provisional entry to qualified candidates. Candidates may need to pass a criminal background check, obtain TB clearance, liability insurance, immunizations, and Healthcare Providers CPR to complete and confirm enrollment into the program. Graduates of the program are eligible to apply to the Maine State Board of Nursing to take the NCLEX-PN for licensure as an LPN in the state. The Board has the final say on an applicant’s eligibility for the state exam. Duration and Cost of Training: The lone practical nursing program in Maine, offered by InterCoast Colleges, is a 60-week program. The tuition is $36,123, and students are responsible for the cost of textbooks, workbook, uniform, software, liability insurance, lab supplies, administrative fees, and costs associated with meeting the eligibility for entry. Financing is available through scholarships, loans, grants, and a financing plan through the college. The median student debt for the program is $20,000 through federal loans and $3,865 for the school’s financing plan. The NCLEX is an examination for the licensing of Practical Nurses in Maine and other states. The National Council of State Boards of Nursing, Inc. (NCSBN) administers the examination on behalf of state member boards. Passage of the exam demonstrates a graduate nurse’s ability to provide competent care. Therefore, this Board requirement is one way the protect public health. Applicants must register with Pearson Vue, the testing agency. Registration is available online or by phone, and the $200 fee is payable using a credit or debit card. Candidates must also submit an application for the exam to the Board of Nursing; the Board determines eligibility to take the exam after reviewing the completed application, evidence of nursing education, and criminal/disciplinary history. Pearson Vue will deliver the Authorization to Test (ATT), to the email address provided during registration, with the Board’s approval. The ATT is an important document that contains pertinent information for scheduling and taking the exam. It will contain your candidate identification number, expiration date, and authorization number. You need the information to schedule the test date at a testing center of your choice. The expiration date represents the time you have to schedule and take the test. This date cannot be extended for any reason. If you do not take the test within the dates, you must submit another registration and fee. The Candidate Bulletin in another vital document. It contains information on registering for the exam, scheduling the test, and what to expect on the exam day. It includes an overview of the exam and a guide to receiving your results. The Computer Adaptive Test scores in real time. However, administrators at the testing center will not give out the results. Pearson Vue will make the results available to the Board within 2 to 10 business days. The Board will then issue your license if you pass the exam or mail a copy of the Candidate Performance Report from NCSBN if you fail. The CPR provides an overview of your strengths and weaknesses. Therefore, you should use the resource to prepare for your retest, which must be at least 45 days later. An individual cannot assume the duties of a practical nurse without the Board’s authorization. Practice as a nurse includes the performance, for pay, of activities that requires basic knowledge of nursing procedures, concepts, and principles. The Board will furnish a license upon review of an individual’s submission of a completed application, application fee, evidence of education, and passage of a national licensure exam for nurses. 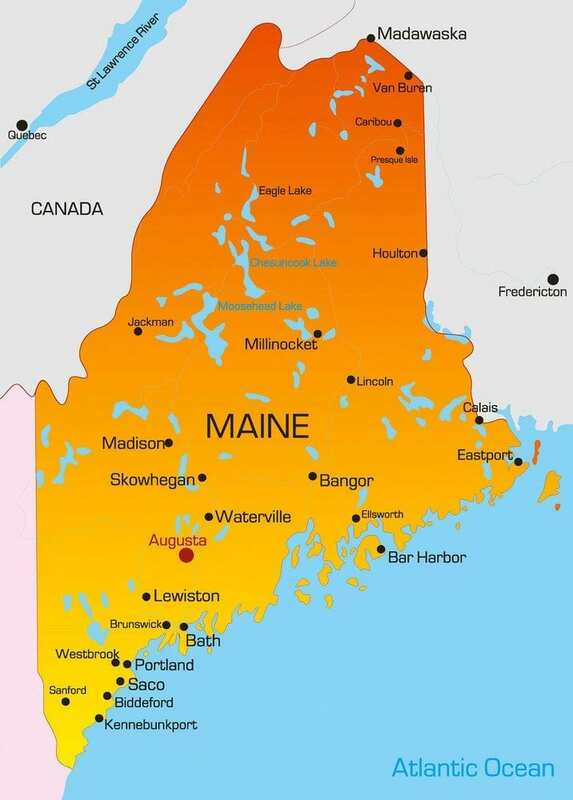 Maine became a compact state in July 2001. Under the Nurse License Compact agreement, applicants must declare their primary state of residence, with suitable evidence, before the Board can issue a multi-state license. The multi-state license is only available to applicants who declare Maine as their primary state of residency. LPNs from other compact states may practice in Maine, with a multi-state license, governed by the state’s laws, for a 90-day period without applying for another license. LPNs with a multi-state license must have a current license in good standing to practice. After the 90-day period, the LPN can apply for licensure if declaring Maine as the primary state of residence. A completed application for examination – completed in ink or typewritten – and notarized with signature. The application fee of $50 – credit card, U.S. check, money order, payable to the Treasurer of State of Maine. The fee is non-refundable. A recent 2” x 2” passport type photo that is signed and dated. An official transcript from the nursing education program if you graduated from an out-of-state program. Maine’s approved nursing programs will communicate graduate’s information directly to the Board. A written letter of explanation and official court documents if you answer “yes” to any criminal history questions. A declaration of your state of legal residence on the application form. Must be graduates of a high school course of study, an approved nursing education program, and receive a license based on the successful passage of a recognized examination. Must submit a completed and notarized application with the required documents. Must submit an official transcript from the nursing program showing theory and clinical experience. The school should submit the transcript directly to the Board. Must submit verification of the original practical nursing license based on the licensing examination in the country of origin. The licensing agency should send the information directly to the Board’s office. Applicants for licensure by endorsement must be graduates of an educational program in practical nursing approved by the licensing agency in the state of original licensure. Their license must have been issued based on the passage of a licensure exam, in English. Applicants must also have qualifications that are comparable to those required in Maine. A completed application for endorsement – completed in ink or typewritten – and notarized with signature. The original source transcript if prepared in a foreign country. All other applicants should submit an official transcript only after the Board’s requests it after reviewing the application. Verification of licensure by examination, in English, from the original state or territory of original licensure. The license verification may be completed using Nursys, for participating states, or the Maine verification form if the state does not participate. Applicants for endorsement must apply and take the NCLEX if they did not previously take the exam. An applicant for licensure by endorsement may practice in Maine for a period of 90 days after the Board acknowledges receipt of the application and fee. The candidate must have current and valid license from another state, possess an official receipt from the Board on nursing, and provide the employer with evidence of current licensure before practicing. The application will remain open for 2 years from the date of receipt. Thereafter, the Board will destroy the application, and the applicant must submit another application, fee, and supporting documents. LPNs will receive postcard reminders of the upcoming renewal from the Board approximately 2 months from the license expiration. The license expires on the LPN’s birthdate. It is important to maintain a current and accurate address with the Board in order to receive notifications. Online renewal is available for faster processing. The renewal fee is $50 payable via credit card online. Paper applications are available upon request. You must provide a copy of appropriate legal documents if requesting a name change. Demand for LPNs is expected to grow over the next few years. Retiring nurses will leave numerous gaps in the healthcare industry for new graduates to fill. There were 1,320 LPNs employed in Maine in May 2014. Approximately 25 percent worked in hospitals, 35 percent in nursing care facilities, and 15 percent in physicians’ offices. Others worked in home health care, public and private educational sectors, outpatient care centers, insurance companies, community care facilities targeted for seniors, and correctional facilities. More than 80% worked full-time. On average, LPNs secure employment within 6 months of licensure. Although there’s a sharp decline in employment for LPNs in hospitals, as administrators opt for Registered Nurses with advanced degrees, there are still many opportunities for nurses in long-term care and home health care. The growth of employment in these areas arise from the increasing healthcare needs of the senior population. Experienced LPNs may find opportunities within the state’s leading hospitals. In long-term care, senior workers can assume lead roles, but must operate with the state-defined guidelines. The median annual wage for licensed practical nurses in Maine was $41,750 in May 2014. The lowest 10 percent earned less than $35,970, and the top 10 percent earned more than $45,360. EXCUSE the above mess! They shouldn’t even have LPN schools. They have thrown us all under the bus. Only jobs an LPN can get is a nursing home or prison. Hospitals did away with us for CNAs that they are training to do what we had to fight to do.I guess it was all about money I’m glad that my nursing career is coming to an end. I was fortunate to be able to explore all phases of nursing. It’s a stepping stone to RN. Only 2 semesters and no wait. So it’s a quicker route. If your interested in LPN, go for the RN. I have to say LPN’s are nothing here in Maine. Its very sad cuz ive been a Lpn for 16 years and and trained in Massachusetts let me tell you i can hands down run circles around any RN i have yet to work for. Lets see how maine handles the nursing shortage the pt care should be quite something when all our retirees exit. I loved my career until i moved to maine. Now im a glorified CNA doing the same job for less than half the pay i made in Massachusetts. And the company i work for doesnt even help you to advance to RN. Its very discouraging. Not everything Bri but nursing is a complete joke. I am also a nursing student, but worked as an administrator in internal medicine for over 6 years. I can see where this is all coming from. The younger nursing students just want to become a nurse to earn the big bucks, and the ones who really care about people can hardly pay for their BSN… It’s sad, however I want to gain the Skills to use them no matter how I get paid. Hell, I will even teach others so that they can become good nurses. I did not earn my LPN in maine i have skills beyond thier usefulness here. And hardly a option to further to RN. Good luck. We need good nurses. Yes, an lpn in Maine is a complete waste of time. If you’re going to get a nursing degree get your rn. I moved here from Georgia and lpns are entirely different here. North country?? Haha…I work for them…another joke! Also in Maine there in a big push to have your BSN but they don’t pay any more. Maine can’t seem to make up its mind re LPN, first yes, then no, now yes again?! The only thing about being a hospital RN is you do all administrative stuff and next to none or none of the hands on work that LPNs are so good at doing. I agree, go for the RN. I’m an LPN and our options are limited. I work in a school but if the RNs have their way that will soon stop. It’s unfortunate because many schools are hiring EMTs and Medical assistants instead. The plan was to go back and get my RN but they make it so hard for us to bridge up. LPN’s are being phased out and most health care facilities are going strictly RN’s & CNA’s. CRMA also which are in place of an LPN job! A lot less money! Well there is another phase out MA no license cheaper to hire, need more supervision no license. 36 year LPN love my craft wish more possibilities were available. They were at one time going to grandfather LPN.s hasn’t happened yet. You might as well go for the RN. I was a former LPN, and I’m glad I went back cause at least in hospital settings, you do most of the work an RN does anyway, but at just a fraction of the pay. Most of the above statements are true. When I graduated from school they said it’s sad to say but you students are the last of the LPN training and they will be phasing you out and that was 27 years ago. I’m glad I’m on the down hill side of my nursing career and looking forward to retirement. I have to say it has been a great ride and wouldn’t change a thing. I have worked in many different settings and the pleasure of taking care of so many different people has brought joy to my heart and soul. To any young person starting out just follow your heart whether it’s to be a CNA, LPN or RN we all matter. I think a lot of people are not going to like what I say but I really think any LPN or RN needs to work as aCNA first that is what did then I went for LPN in PA moved back toaine and yes the pay is bad but I pay a 250.00pnth load if I was to go for RN BSN I would pay 700-800 a month in school loans. Anyone going into nursing. This is a great field you need to be respected. Your dedication isn’t going to pay off in Maine.. Think about leaving the state. We have lived all over the country, the abuse you will take here in Maine is not worth it. You will have respect in other states. In Maine they will use you as a tool. Not in Maine! You do the work of a LPN job and get way less money! Maine is phasing out LPNs. They want Medical Assistants ( more versatile/well-rounded ) instead. If u go for ur LPN- don’t go to Intercoast. That place is a joke. They screwed me every which way possible and I still wasn’t able to go on because of all their extra “fees”.